…at least, the way you are currently praying. I know, I’m tricky. Sorry for that. I haven’t written specifically about prayer on Modern Reject before. I think it’s because when I think of prayer, I admittedly get a little sleepy. I do not find prayer to be the most exciting of topics. That alone is a problem, I admit. In reality, however, God has chosen the system of prayer to accomplish His will through His people. That fact alone should compel us to pray more. However, praying more isn’t enough. If we want our prayers to be powerful, effective, and relevant, we have to quit praying the way we have been praying. This isn’t bad by any means, as this post How to Pray for an Unsaved Loved One points out, but it fails to get to the heart of the issue. Part of the problem with our prayer life being ineffective, is that we fail to understand what scripture says in regards to our specific prayer request. For example, we do not ask the questions of “why”? Why are some saved and some are not? If we understand scripture, then we know that God can save everyone and that He desires to save everyone. If those we care about, who have yet to know Christ are “blinded” so that they may not “see the light of the Gospel,” then we must pray for them to “see.” We must pray that their blinders be removed. Specific prayer gets specific results. Detailed prayer produces detailed results. This example applies to all areas where we may be seeking God’s will, whether it be a health issue, a relationship issue, the need for freedom in a particular area–anything. It is not only useful when praying for someone’s salvation. The point is that we should know what the Word says about an issue before we beseech God on that issue. We can then pray more effectively and efficiently. Which brings me to the second point, which is that, not only do we often know what to pray, we simply do not pray enough. I wish I could resemble a Mother Theresa type figure and spend countless hours a day tucked away and praying to my God. Instead, I prioritize Starbucks drive-thru, Facebook, and more time then I’d like to admit flipping through fashion magazines (it could be worse; it could be Star magazine). I have often sat perplexed and yet convicted by the fact that Jesus, during His ministry, would often steal away from the crowds and His own disciples to sit quietly and meet the Father in prayer. If Jesus, the Savior and the Messiah of the world needed to prioritize prayer, well then, surely so do I. How is your prayer life? Do you pray as much as you’d like? What else would you add, as far as helping prayer to be more effective and powerful? Confession: I haven’t been praying enough at ALL the past few weeks and just noted this to my hubby during church this Sunday! i absolutely love prayer. i know it sounds weird…but it has been something that i’ve grown to love these past few years. an “prophetic intercessor” at heart, i love praying for people. and when i went through a hard time of almost being homeless, jobless and carrying the weight alone, i learned to lean on Him like never before. prayer has become a secret solace for me. i talk to Him, the same way my son talks to me…i tell Him about my day, my feelings, my friends, etc. a state of mind where i can just be with my Father. I will say that having kids has actually increased my prayer life. I don’t spend as much time in the Word as I would like since it is hard to always sit down and find the time with little ones. Praying however can happen when vacuuming, changing diapers, cooking dinner…I never used to pray throughout my day, but now I do. I admire your close and intimate prayer relationship with the Father. yep. being a mom increased my prayer life as well. you kind of need to pray. to make sure that we’re not screwing up our kids. LOL. Oh this is so good! I’m so glad i clicked on @amyjbennet’s retweet. I hope you were encouraged or challenged. Thanks for commenting! I hope to see more of you around here too! I liked that you choose this topic. Little different for you, at least from what I have read from you before. I agree with you and what you are saying, “specific prayer gets specific results.” I love that. But here is the thing. I think that many Christians have gotten into the routine of praying because that’s what Christians are “supposed to do.” I think we have lost our realization of whom we are praying to sometimes. Although God loves to here from us, I think sometimes we pray prayers that don’t meet up to God’s capability because we place Him in a box. God likes to show off to His kids, like to show them like we can do great things such like my little cousins can get me to do things for them because they say, ”Do you think your strong enough to get this down for me?” and I am like, “Heck yes I am.” And I like to show them I am. God isn’t on an ego trip He just likes to show us that He can do much more than our “standard” prayers. I think we need to start praying like Joshua on Joshua 10 where he asks God to make the sun stand still so he can complete the task that God has given him, and because of his faith, God made the impossible possible by making the sun stay still in the sky to make the day longer for Joshua. I think we need to not be afraid of the big prayers. Steven Furtick, a pastor that I like to listen to, says, “That if the vision of your life and prayer does not intimidate you, then its probably insulting to God.” Bold? Yes, but I love it and is a great reminder. We need to be more like Joshua in that sense. I think sometimes we need to shut up. Stop talking. Prayer is communication with God, it’s a conversation. When we talk to a person, we talk, they listen, and they talk, and then we listen. When is the last we honestly stopped talking and listen to God? How are supposed to know what to do after we pray if we don’t wait for a response? Instead of reading the Bible and praying a big long list of things and then you say, “Amen” and that’s it, we need to do a better job and stopping, slow down, and wait to listen for the response that God has a chance to talk to us. I don’t know about you, but have you ever woke in the middle of the night, wide awake and have no idea why? Maybe that’s God trying to talk to you because He knows that’s the only time that He knows you wont be surrounded by noise and craziness. Instead of going back to sleep, I have taken those opportunities to pray and truly be with God and actually listen. And it’s amazing. We just need to shut up and listen sometimes. Sorry that was all long, just some things that I have been wrestling through. Hope it adds to the conversation. I know, this post was not my norm. My husband said it was much more “theological” than normal. C’est la vie. You brought up some great stuff. For one, I agree that we limit God in our prayers, in that we pray “small prayers.” We don’t even have the cajones to ask for the big stuff. Or we are simply, too often, praying for the stuff that isn’t even God’s will. It’s our own agenda. We go ahead and do what we want and then ask God to bless it. Then they get it and they realize that prayer is not a one-way street marked “talk only”. Great additions to the conversation. Thanks Justin. Oh and I love that quote about not being intimidated and thus being insulting to God! I’m using that! Hmmm. Thinking post. I don’t spend enough time praying, I know. I used to pray so much more. 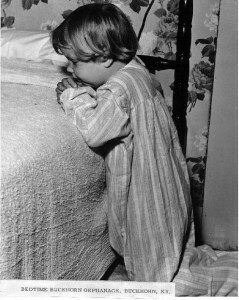 I still think of praying, but it’s sort of a *I wish God would …* or a *if I sat down and prayed to God that …. * rather than a doing. Perhaps this is where I am going wrong with the husband. I think, in my head, if he just listened to God we’d end up this happy little family again, but maybe *I* am the one not listening — or, not listening the right way. Something to ponder tomorrow as I work out. That’s about the only *quiet* time I get. prayer. i have so many thoughts on this…but basically, i need to pray more. not to get more, but to trust more. to be more aware of my need for him and to acknowledge His sovereignty over my life. but still trying to find my groove prayer life! …and just affirmation of what you wrote, my prayer for unsaved family has drastically changed based on scripture and it’s deepened my understanding and trust in God greatly. The Greek even has a word for specific, urgent prayer (deesis) and it’s biblical to ask for specific needs. Now, to move that knowledge from my head to my heart! I’ve been following your blog for the past few weeks, and I love your take on the various topics you post about. As far as things I would add to make prayer more effective, I would say perspective is always good. While I’m praying, often I will ask for something to happen—a new place to live, motivation to break through chains of sin…you get the picture—and, if I’m patient, God will answer me in a way that was not only unexpected, but better and more effective than anything I could have ever imagined. I think that when we’re praying, we don’t always remember that God loves us, that He knows what we need, and that He has each of us, individually and uniquely, on His heart. At least that’s a problem when I pray at times. However, when I remember those things and trust in those truths, my prayers and time with God seem to end very peacefully, even if there is pain involved. Sorry I’m responding to your comment so late. This one got past me. I think you are right Josh that we do often forget to see how God actually views us as we are praying. He sees us through His loving eyes, as a Father who gives good gifts to His children. I think you bring up a great point too about perspective and God superceding our expectations. I wonder if in superceding our expectations, we actually miss what God has done or is doing because it is not what we expected. Just a thought. Thanks for the words of encouragement too. I hope to see more of you around here. Blessings. Previous Previous post: Easy Money…? Next Next post: Date for Jesus?